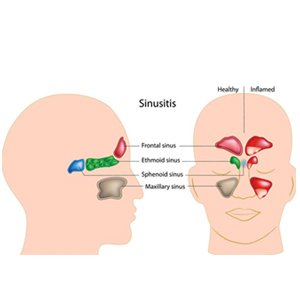 This term Sinusitis is mostly used as Rhino Sinusitis as it involves inflammation of Nose and paranasal sinuses. Paranasal sinuses are air filled spaces in the skull lined with mucous membrane . Mucous drains out of the sinuses in the nasal cavity. Sinusitis gets developed when the sinus opening gets blocked and the mucous gets infected. Sore throat, imitation in throat. 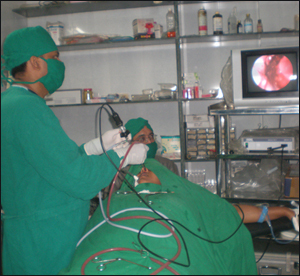 Now a days Sinus surgery is done through hi-tech nasal endoscopy camera system. 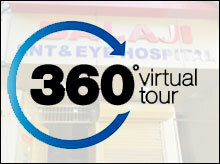 We at BALAJI ENT & EYE HOSPITAL have STORZ as well as STRYKER CAMERA UNIT with medical grade monitor. 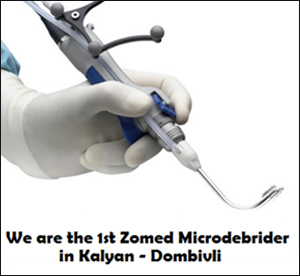 We were the first to use MEDTRONIC MICRODEBRIDER SYSTEM in Kalyan city. This is an automated system where in the diseased tissue of nose and para nasal sinuses are cut and aspirated out with high degree of precision and very little blood loss as compared to the conventional forceps technique.Because of these two i.e STRYKER CAMERA SYSTEM & XO-MED MICRODEBRIDER SYSTEM we are able to insure Complete eradication of the disease minimizing the chances of recurrence, very little blood loss, faster wound healing and early recovery, decreasing the duration of surgery and Anesthesia there by enhancing the safety of the procedure. The conventional ribbon gauze packing which was used previously has got high chances of infection ,bleeding and poor wound healing . 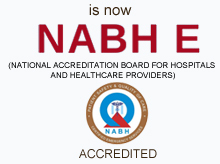 This is now minimized by the high grade imported NET-CELL packing used by us at BALAJI ENT & ENT HOSPITAL In the post-operation period, we recommend continuing the saline, nasal wash and steroid sprays for effective long term control of disease. These are swollen nasal mucosa arising in the para nasal sinuses coming in the nose. Mostly seen in the allergic people.These are chronic long standing disease causing nasal obstruction , difficulty in breathing , watering of nose, decreased sense of smell and sometimes nasal bleeding. Antrochoanal polyp arising from the maxillary sinus. FUNTIONAL ENDOSCOPIC SINUS SURGERY (FESS) with proper control of allergy.